Good health is extremely vital to human happiness and well-being… Healthy people normally live longer, are more productive and have a prosperous life. Keeping an efficient and prompt communication with doctors is essential to ensure that we take necessary care of our health. This ultimately leads to a better quality of life. Realizing that a solid communication barrier existed between people and doctors, preventing patients from finding their most suitable physician,Tabeeby emerged with the specific goal of breaking this barrier. 2012-2016 – Tabeeby: the leading online Medical Directory in the Middle East. Within a few years of its launch, Tabeeby has taken the charge and is in the pole position. Acknowledging that the foremost valuable treasure in life is good health,Tabeeby uses state-of-the-art technology and up-to-date social media innovations to highlight the concept of prime health in our daily life. During those years and thanks to your dedicated cooperation, we have achieved numerous successes and milestones. 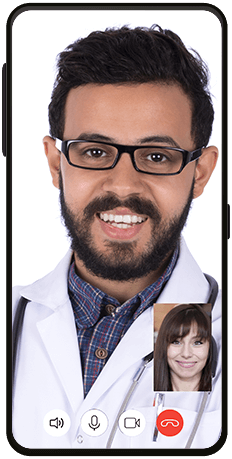 We now have over 5,000 doctors and healthcare providers from all over the world, attracted more than a million visitors annually and well over 200,000 followers on social media networks. 2017: Tabeeby a unique Health Social Network. In 2017, Tabeeby website has been developed into a modern format following a comprehensive upgrade to become the first unique and true Health Social Network. Our mission is to help everyone enjoy a better health by making it possible for the world of health to communicate freely and openly, anytime, anywhere. Whether you are at home, at work, shopping or even traveling, Tabeeby is your channel that ensures easy, swift and fast access to your doctor. We endeavour to make your search for the right doctor a hustle-free experience.